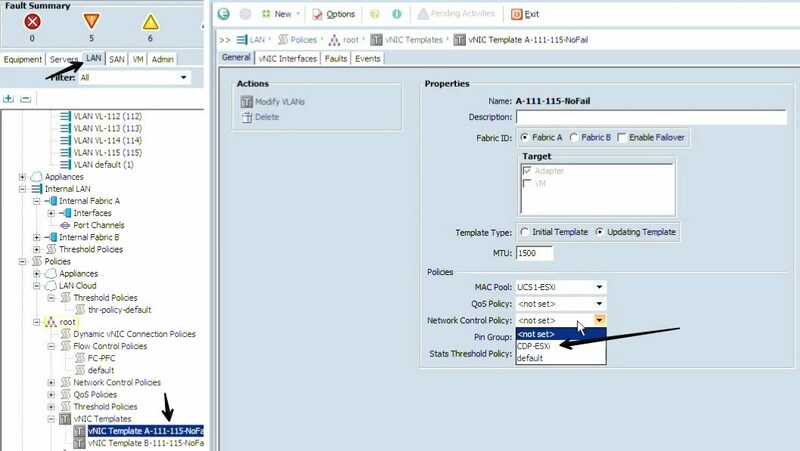 Determine whether the uplink Ethernet ports in a Cisco UCS domain send and receive IEEE 802.3x pause frames when the receive buffer for a port fills. Have to trun on CDP, which is off by default and Allow MAC Security otherwise you'll have issues with vm hosts coming up through the fabric interconnects to the rest of the network. As you can see the Best Effort and Fibre Channel classes are already created. Also by default the Platinum, Gold, Silver, Bronze are all off by default.